The big blue RIBBON was CUT at the Morelia Bible Institute dedication service last weekend! 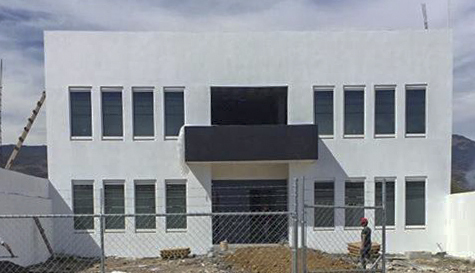 This marks the official opening of the new Bible school facility in Morelia, Mexico. Students have previously been meeting in three extension campuses throughout the Bajio district. Completion of the Morelia Bible Institute will allow for the training of new pastors and leaders from the Bajio District, as well as accommodating an increase in the enrollment. Students will now come together in a centralized location to worship, pray, study, and learn God’s word together as they prepare to take the Gospel throughout Mexico! The Morelia Bible Institute in Morelia, Mexico. Our very own David and Carolyn Huneycutt (previously missionaries to this area referred to as “The Heart of Darkness,” because less than 2% of the population are evangelical Christians) had a great hand in laying the groundwork for this vital project! Missionaries to Mexico, Duane and Julia Martin, have done a fantastic job leading the project to completion!